One hundred and seventy years ago, astronomers thought that a series of explosions on the surface of η Carinae were the beginning of a supernova, which would have marked the star’s death, however η Carinae still survived. 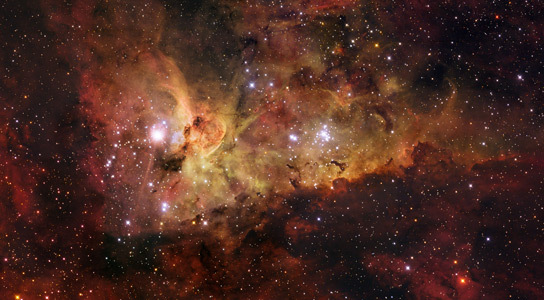 η Carinae is located in the constellation Carina, about 7,500 to 8,000 light-years from Earth. Since then, researchers have yet to come to grips with the star’s volatile behavior, and recent observations from the ancient explosion have left astronomers even more perplexed. These light echoes were first noticed a century ago, and were created when the light of some distant bright events, such as supernovae, is reflected off dust, so that it reaches Earth hundreds of years after the light that took a direct route. Over the last decade, astronomers have noticed that light echoes from faded explosions still yielded data. η Carinae, which weighs 100 M☉(solar masses), is one of the most massive binary star systems in the Milky Way. Between 1838 and 1858, η Carinae shed one-tenth of its total mass. Some of the material was ejected at 1,000 kilometers per second. 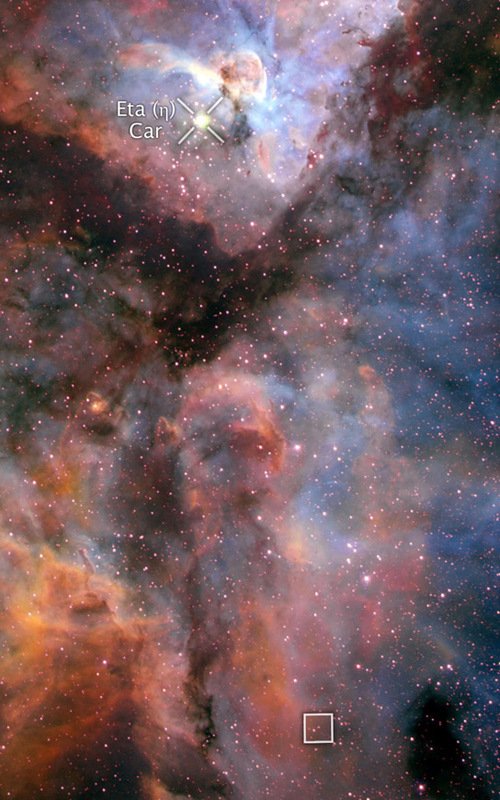 Since then, η Carinae has become the archetype of a class of stars that are supernova impostors. Such stars reach temperatures of at least 7,000 kelvin, which is hot enough to trigger partial explosion as some of the material from their surface layer is peeled off. The light echoes’ spectra indicates that the star was far cooler, at only 5,000 kelvin. They published their findings today in the journal Nature. The low temperature of η Carinae means that it’s not a supernova impostor. One hypothesis is that the explosions were triggered by the gravitational interaction as the two binary stars’ orbits veered close together. Another hypothesis states that the high temperature of the stellar furnace is hot enough to generate electrons and positrons, which rapidly combine to set of partial explosions. 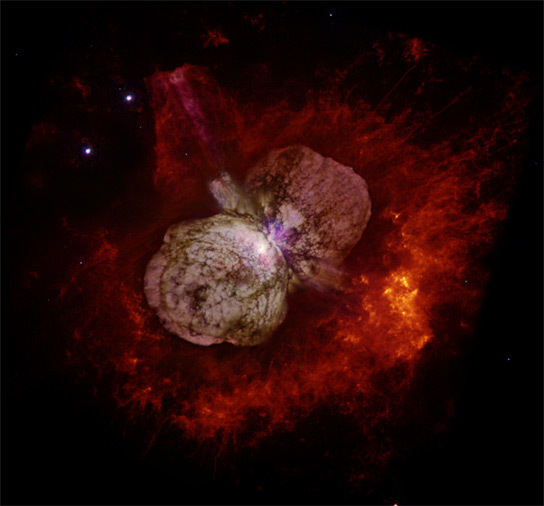 Be the first to comment on "Spectra Creates Doubt on Cause of Eta Carinae Stellar Explosion"